The Grow to Give Garden (G2GG) is at the rear of the UUFH property. 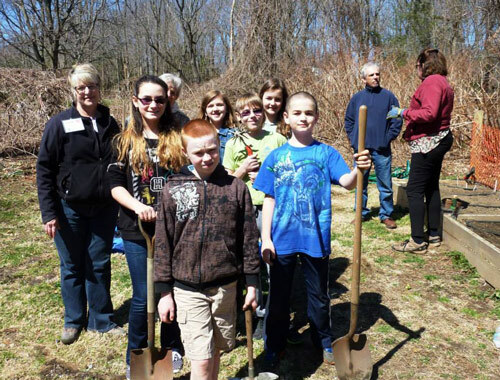 From early spring through late fall, UUFH volunteers raise organic vegetables and herbs to donate to local food pantries. We do this work to provide healthy, unprocessed food to local families in need who depend on food pantries to eat. 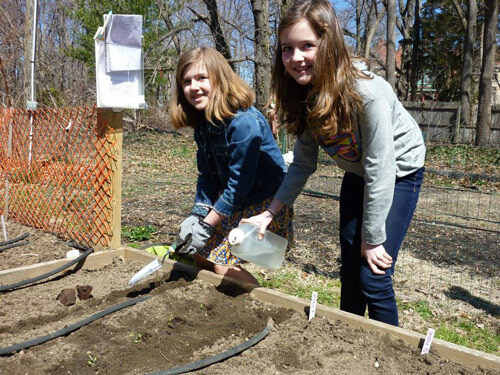 We plant as early in the spring as possible so that UU’s of all ages who want to participate (no previous gardening experience necessary) can be actively involved in the garden. The Grow to Give Garden is a wonderful place to learn new skills, to make new friends, and to put our UU values into action. We have seen first hand that our efforts are appreciated by the local communities we reach.